The handy tracking... The tracking functionality giving your customers all the information they need about shipments. EDIAir Web tracking page is the service to offer to your customers to let them follow the movement of their shipments while being processed by you. 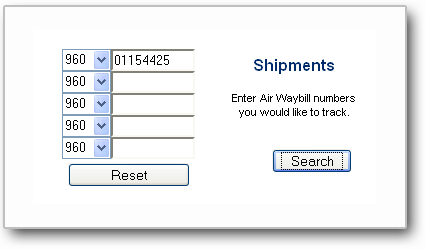 One or more Air Waybill numbers may be processed in one action. 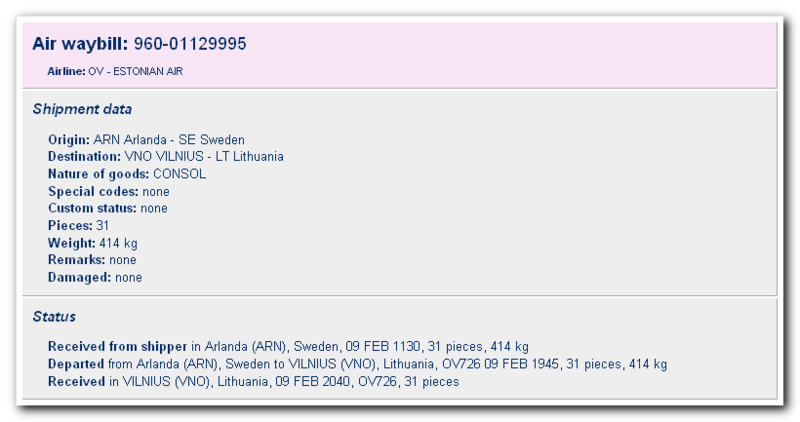 EDIAir Web will retrieve and display all the available information about the requested shipments.